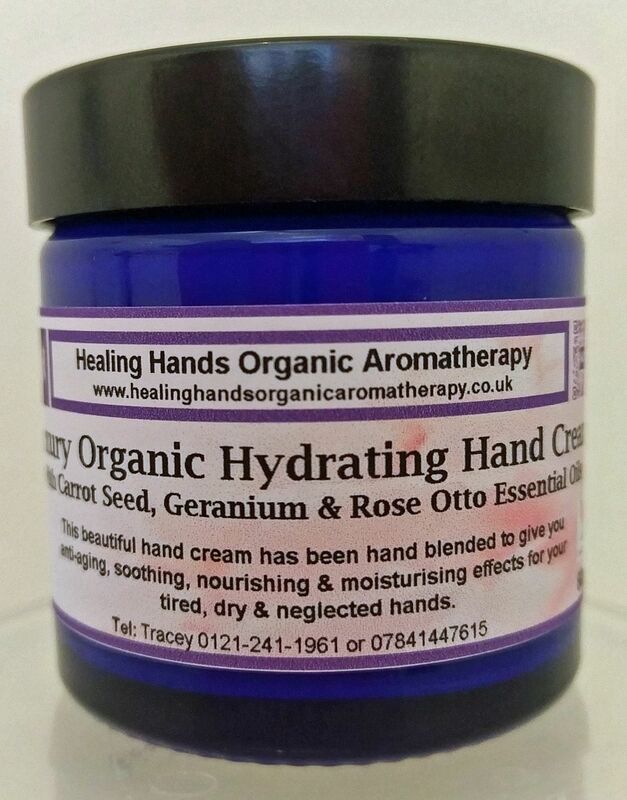 1 x 60ml jar of hand blended, Aromatherapy, intense re-hydrating aloe vera hand cream. 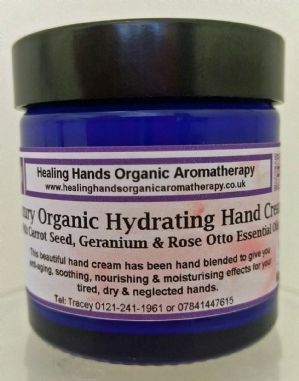 This is ideal for busy people who need the moisture put back into their tired hands. Feel pampered and refreshed, with the beautiful aroma from this lovely synergy! This has an aloe vera base, so it is suitable for all skin types, even sensitive skin. The essential oils are all 100% pure and organic. This is a beautiful smelling blend and highly effective! Please be assured, this a quality product with the use of the very best products available, to bring to you a wonderful item for a very small price. The cream is blended the day of payment being received, so you can also be assured of its freshness. PLEASE NOTE THAT THE PHOTO SHOWS ANOTHER HAND CREAM FROM MY RANGE AND IS FOR REFERENCE ONLY. The cream comes in an attractive cobalt blue jar, with a black screw top lid, and comes with full instructions for its use.